This photograph, taken during an undercover transnational investigation by Oxpeckers reporters in late 2013, went viral during a global campaign against canned lion hunting in March 2014. 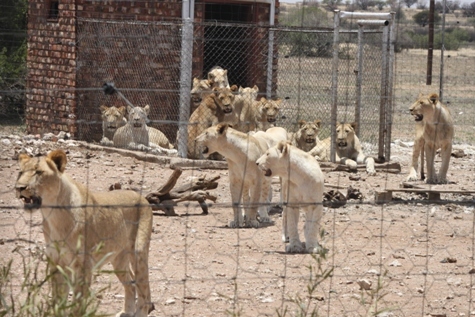 The photograph was taken at a lion-breeding facility in the Northern Cape, where the Botswana minister of agriculture sent a large shipment of lions – allegedly to be used in canned hunts. As a result, Tshekedi Khama, Botswana’s Minister of the Environment, Wildlife and Tourism, instructed a team of investigators to determine whether fraud had been involved in the sale of the lions. And in late March 2014, the Botswana government announced a ban on the canned hunting of large carnivores in response. The tourism ministry said efforts to strengthen legislation to ensure that this “abhorrent and unethical practice does not find its way into Botswana under any guise” were under way. “We are committed to conserving our biodiversity, large carnivores included, and we do not tolerate cruelty to our wildlife in any form,” it said. 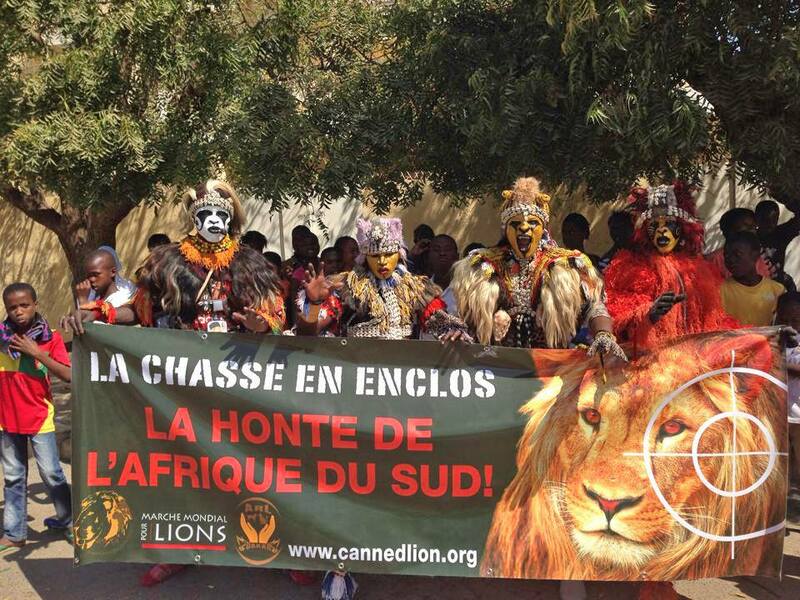 On March 15 2014 thousands of protesters took to the streets in more that 60 cities around the world to protest against canned lion hunting, dubbing it “South Africa’s shame”. More than 1,5-million signatures were added to a petition calling on the South African government to ban the practice. Oxpeckers founder Fiona Macleod has reported extensively on the canned lion hunting industry since the late 1990s. “Canned” hunts is the term used for the shooting of wild animals in small camps, or using drugs to tranquillise them, luring them with sound, scent or bait, shooting them from the back of a vehicle or at night, and using dogs to corner the animal. Macleod’s articles on how canned hunting facilities were selling lion carcasses to Asian countries caused Avaaz to start the “1 million signatures to ban the lion trade” campaign. In late 2013 a South African court ruled that the government had violated the right to free speech when it tore down Avaaz advertisements publicising the campaign in the OR Tambo International Airport.